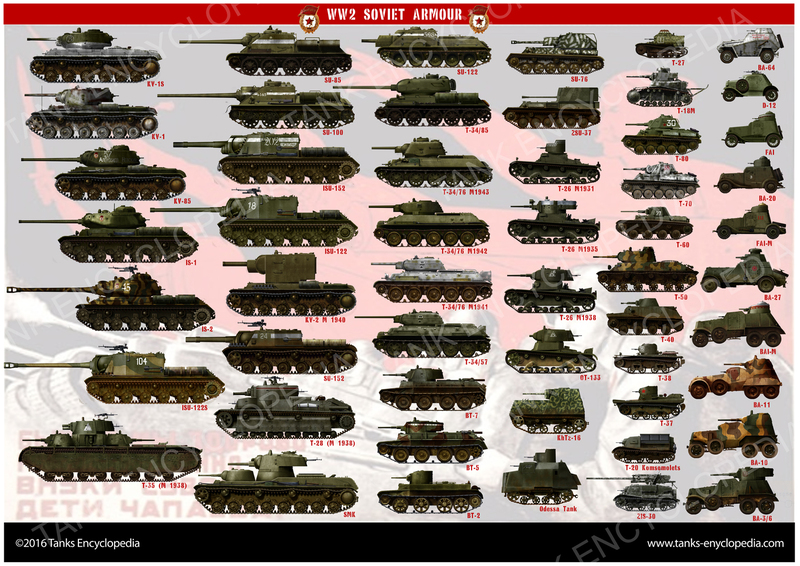 Initial experience with tanks in the Soviet Union was related to captured foreign models (British and French) used by the Whites during the Civil War. 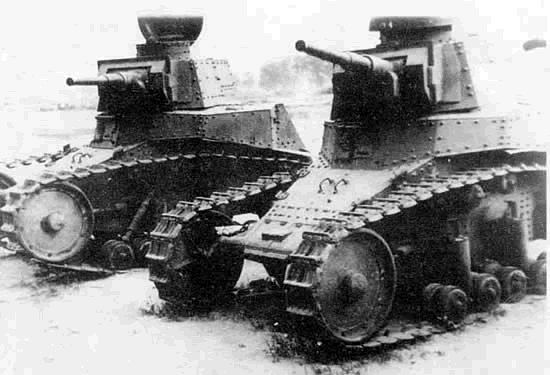 However, in 1920, fourteen burned-out captured French Renault FTs were dismantled, studied and replicated by the Krasnoye Sormovo Factory. Fifteen exact replicas delivered in 1922, called the “Russki Reno”. 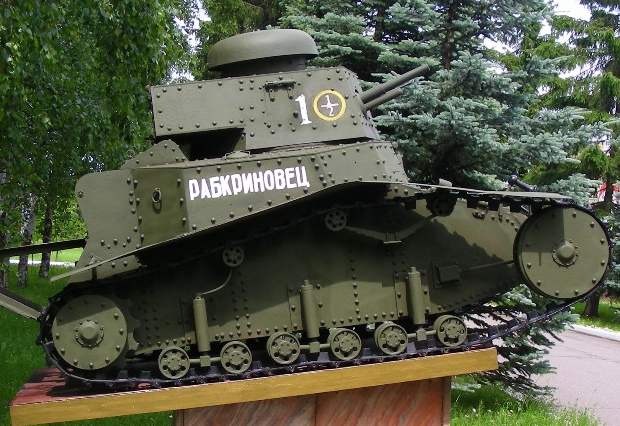 These were the first locally-built Soviet tanks in service. However, they were plagued by manufacturing defects, but gave enough experience to the Russian engineers to plan a new model. This came with the formation of a “tank bureau” in 1924, which was charged with writing a specification for the first Soviet indigenous model. 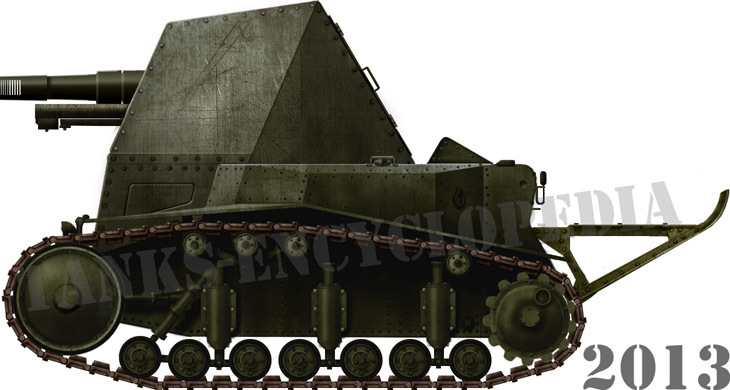 This called for a 3-ton tank (later 5) capable of a 12 km/h (7.5 mph) speed, having 16 mm (0.63 in) of armor and armed with a 37 mm (1.46 in) gun, similar to the French Puteaux design, but with a longer barrel. 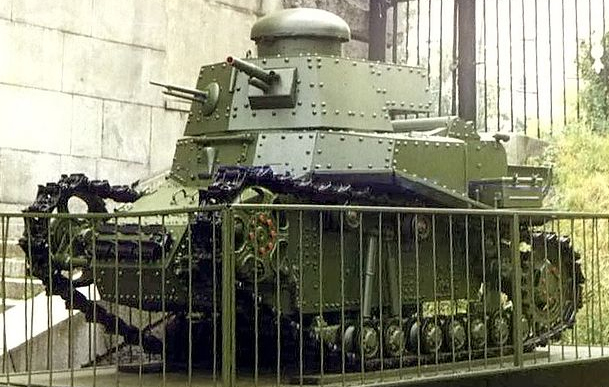 Called Maliy Soprovozhdeniya-Perviy or “first small support vehicle”, the MS-1, as it was first known, had learned a great deal from the Renault FT. The design was made by Professor V. Zaslavsky, under the supervision of the Central Directorate of Military Industries. The general layout was kept unchanged. The driver was at the front, with a fully revolving turret holding the main armament and commander cupola behind him. The engine was at the rear, with a tail at the end. However, in order to improve speed, the main concern was to completely redesign the suspension. At the same time, Renault was working in France on the next generation of the Renault NC with the same consideration, giving it a coil spring suspension. The first model to test these new suspensions was the T-16, delivered in 1926. It was equipped with a Russian engine licence-built by the AMO Factory. It was derived from the FIAT 15 ter truck engine. Many problems were detected during the trials, which led to modifications to the design in order to improve defects such as the failing suspensions, bad maneuverability and its ineptitude to cross even 1.5 m (4.92 ft) wide trenches. The new schematics featured an improved suspension, featuring an extra return roller and an independent vertical suspension with rubber tired bogies. The tracks were improved, as well as the engine, rebuilt by Alexander Mikulin, the famous aircraft engine designer. This engine was mounted crosswise to save space and weight. The PSC transmission, at first separated, was now encased in a single unit, comprising four-forward and one-reverse speed. The rear engine protection was improved, at the price of overheating. A 6-volt battery fed the lights, lamps and horn. The hull was entirely riveted, made of 16 mm (0.63 in) plates and 8 mm (0.31 in) for the turret, while the mushroom-shaped cupola was just 3 mm (0.13 in) thick. The bottom floor was also just 3 mm (0.13 in) thick, with an escape hatch. Another small hatch was left for ventilation on the turret side. The main gun was held by an armored mantlet giving a 35 degree traverse and +30 -8 depression angle. Simple diopter sights were adopted for aiming. This obsolete feature was however compensated by a high rate of fire, 10-12 rpm. With shrapnel shots this was very effective against concrete pillboxes and enemy trenches. The secondary armament comprised a couple of Fyodorov machine-guns in a ball-mount. The entire armament was more versatile and powerful than that of the “Russki Reno”. The first T-18 prototype was delivered and tested in mid-May 1927 before a composite commission, which included the head of the state. It still showed some deficiencies, notably on rough terrain. It proved its inability to cross 2 m (6.56 ft) wide trenches and was stuck in those beyond 1.2 m (3.94 ft) deep. But on usual flat terrain, speed was considered enough and other advantages combined led to the first order of 108 tanks. Production was scheduled to start in February 1928 at the Leningrad Obukhov Factory, later renamed Bolshevik factory. The first were quickly found to have many manufacturing issues. Ball bearings and carburetors had to be imported. The Motovilikhinsky Machine-Building Plant joined the production effort and, together, they succeeded in delivering 96 T-18 tanks by 1929, instead of the 133 promised. The first 30 were ready in time to participate in the November Red Square 1929 parade. None was equipped with radios, so all communication during exercises was performed using flags. To cope with the trench problem, the commander of the Leningrad Region Armored Force ordered a second tail be mounted to the front. The prototype soon earned the nickname “Nosorog” (Rhinoceros) and began a series of intensive trials near Moscow. But the project was dropped after it was found that the driver vision was too greatly compromised. Then came the model 1929, which was the true serial version. It had reinforced suspensions, a new turret bustle and a more powerful Mikulin 40 hp engine. With this series, many manufacturing problems were also solved, leading to a total of 960 built until 1931. The new BS-3 37 mm (1.46 in) high velocity gun was tested but not adopted. One T-18 was fitted with T-26 suspension and bogies. The T-19 was equipped with a 90 hp engine, was greater in size and had a different suspension. It was built for tests by the Bolshevik factory and never reached the production line. 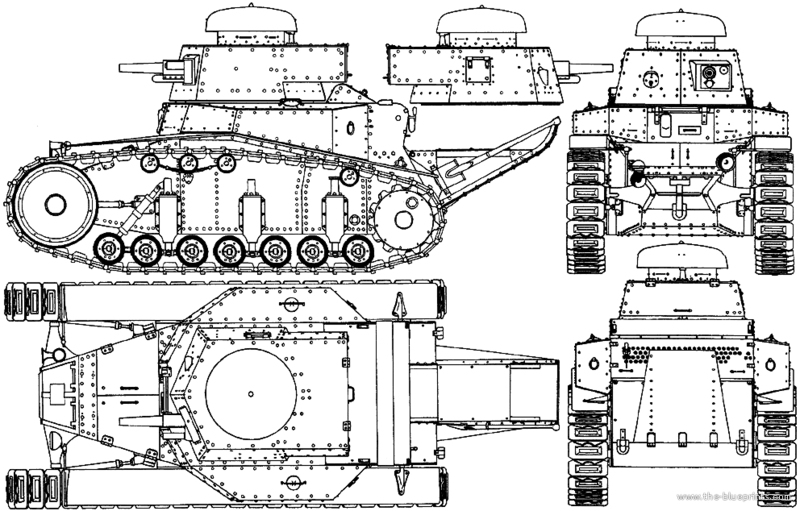 The T2K Tank Design Bureau (later Morozov design bureau) studied the new medium tank T-24 using mostly T-18 components. 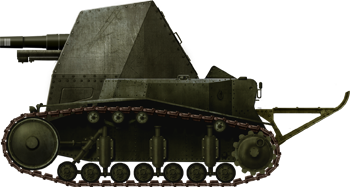 The SU-18: This self-propelled howitzer was at first built on a Renault FT hull by K. M. Ivanov in 1928, and displayed a truncated pyramid shaped shield. Armor was just 5-7 mm (0.2-0.28 in) thick. The gun was a regimental 76.2 mm (3 in) howitzer, fitted with a muzzle brake to reduce the massive recoil and rolling. Two other SPG prototypes tested the 37 mm (1.46 in) PC-2 and a 45 mm (1.77 in) model 1930 guns. None was chosen for production. The SU-18 was meant to be supplied by a turetless variant only armed with a single machine-gun, the T-23. The T-18M: As a desperate measure, once hostilities with Germany began, many T-18s from the reserve stocks were taken over and refitted with a 45 mm (1.77 in) standard high-velocity gun to improve their fighting capabilities. Total number of conversions is elusive, but probably two hundreds or less due to the lack of guns and T-18s in good working order. Crucially, these vehicles had their engines or entire engine compartments removed and were prepared to be used as stationary pilboxes. Also, it is good to note that the T-18M designation was never used during the war, and most likely appeared only recently. The T-18, with their poor maneuverability and speed, good firepower but obsolete gun and aiming sights, was already obsolete by 1931. Some saw action in the Far East. In 1929, an experimental company was sent to defend the Far Eastern Railway near the Manchurian border. During the battle of Dzhalaynor Station, this company, skillfully led, gained the upper hand, but the aftermath was wasted because of their ineptitude to cross a tailor-made antitank ditch. By 1932, all those of the 1929 preseries had been already retired for training. All other T-18s were also retired soon after, being given to the Ossoaviakhim. However, many of the extant machines used for training or in depots were taken over and fitted in July 1941 with a modern 45 mm (1.17 in) gun, as the T-18M. They seem to have seen action on the Kiev-Voronezh line, but their fate is unknown. 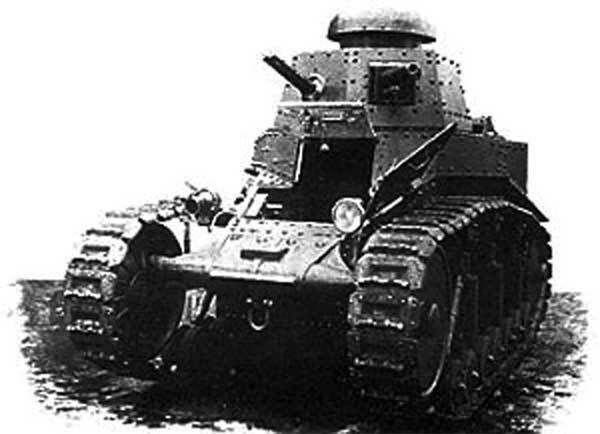 Soviet T-16/MS-1, original prototype, 1927. Preseries T-16, 1929. Trials led to many changes. These vehicles were displayed in the Red Square November 1929 parade. T-16 model 1930, transitional early version. This vehicle is preserved to this day. T-18 model 1930, in exercises near Moscow. Operational communication was performed using signal flags. T-18M converted in July 1941. About 200 were upgunned with the T-26’s 45 mm (1.77 in) 20K mod. 1932/34 high velocity gun. They were actually used as stationary pillboxes and did not have their, engines, or drive systems. According to photos, ome still appear to have had their tracks, but others did not. Fictional livery of a surviving T-18M from the summer campaign, Ukraine, winter 1941/42. Experimental SU-18 SPG. Several prototypes are claimed to have been built in 1930-33. Never entered production.